If you've watched a Nintendo Direct, you've doubtless encountered Hisashi Nogami, better known to some as the head scientist at the Squid Research Lab. These days, Nogami is most famous for Splatoon, but his credits extend to some of Nintendo's most timeless classics. We tracked the squid kid creator down at E3 a couple of weeks ago to chat about Splatoon 2, Octo Expansion, fashion, good, evil and finally, the answer to the question: how old are squid kids, really? Read on to find out. Nintendo Life: In the original Splatoon, hackers modded the game to add playable Octoling characters. Did that serve as inspiration for the Octo Expansion, or was this idea already being thought of? Nogami: I can't say we got inspiration from that, but we did see that and we had the idea of wanting players to play as an Octoling character before that. We had that in our back pocket as a surprise to reveal later on, and when we say that we kind of thought to ourselves, "Aw, come on guys! You took our idea!" Splatoon 2 is a first for Nintendo in that it's a living game. It receives more updates more frequently than any game in Nintendo's history. Have you found it difficult to manage that new style of game within Nintendo? I think you're right that this is new territory for Nintendo. As a developer, the games I've been involved in until now have been the type where you work really hard during development to build all the contents into the game, and when it comes out you stand back and you let it go. With this game, we have a lot of things we wanted to try, that we knew we would want to bring out after the game released, while we were developing it. Some of these things were our ideas, and some were ideas from fans once the game came out. We want to try and strike that right balance between what we are hoping to include in the game and what the fans are wanting. Actually, I would say this was a first for me, to participate in this type of development. The speed at which we need to keep up with those demands from fans and things we want to include after the game has launched increased to a level greater than it was when we were working on the original release. Having to repeat this cycle for each update means we have to have ideas for what we want to include a few months ahead of time. And then we'll have to really put our heads down and work on everything. Then we have to release that content, watch it after it's released and then begin that cycle again of, "Okay, what's the next idea?" This sometimes means having to work in two or three-week batches on these updates and you have to work a much faster and more compact schedule than we were previously used to.But, that's not to say that it's all hard work and no fun. The advantage to this development style is that we can have our own ideas, such as things that we want to include going forward with updates but also respond to new developments that we see from the community. We might see requests and think, "Oh, okay, that's something we hadn't thought of," and we'll see if we can find a way to weave that into our plan going forward, and that's something I find really positive about this development style. You mentioned that you listen to player feedback, where do you look for that feedback? We get that type of feedback from a wide variety of places, whether that's looking at responses to our official Twitter account in Japan, or our Tumblr account in the US. We also check places like Reddit and real-world events where we get to meet our community face-to-face and see their reactions to things. So it's definitely a wide variety of sources. I think one thing we're also aware of is that often times voices online that you hear expressing opinions are often a limited number of people that have the loudest voices. One thing we feel is really important is to play our own game as one member of that community, and by interacting with different players online in multiplayer, to experience the game from a player perspective and take our own opinions about what might be missing, or what would be cool to add and listen to our development team voices as well. That type of listening and watching is something I think multiple people - it isn't just me on the development team - but multiple people engage in, whether it's watching what people are saying online, or attending events, playing the game as one of the community's members ourselves. It's not that we have meetings where we all get together and say, "Okay, here's what we're going to do," but it's more of a living discussion that we have as developers and say, "Hey, did you see this?" Then we'll go and look at it and talk about it. It's just an ongoing discussion that we have among the team. Something that often happens on our team, will be that one of us thinks we found something really interesting and will want to show it to other members of the team and say, "Hey, come here and look at this thing I found," and the person will come and say, "Oh yeah, I saw that," then another person will come and say "Oh, I saw that too!" So, it's like, okay, yeah everyone's paying attention! 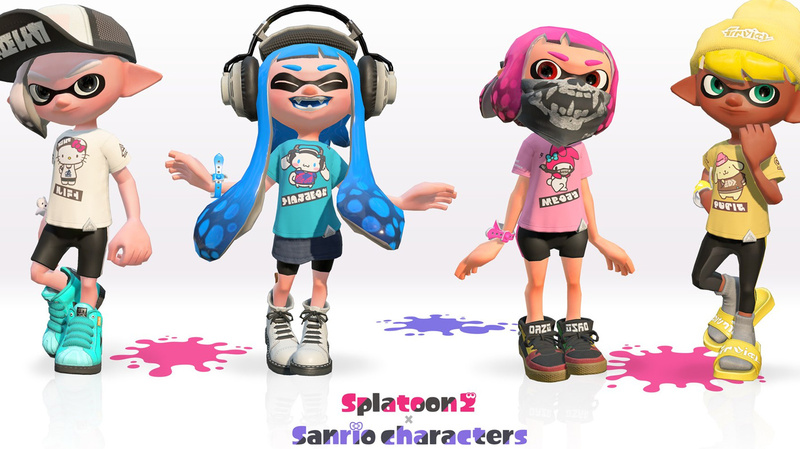 The Splatoon series occupies an interesting space, in that unlike other Nintendo franchises, Splatoon feels more like a lifestyle brand in that there have been crossovers with real-world brands like Nike and Sanrio. 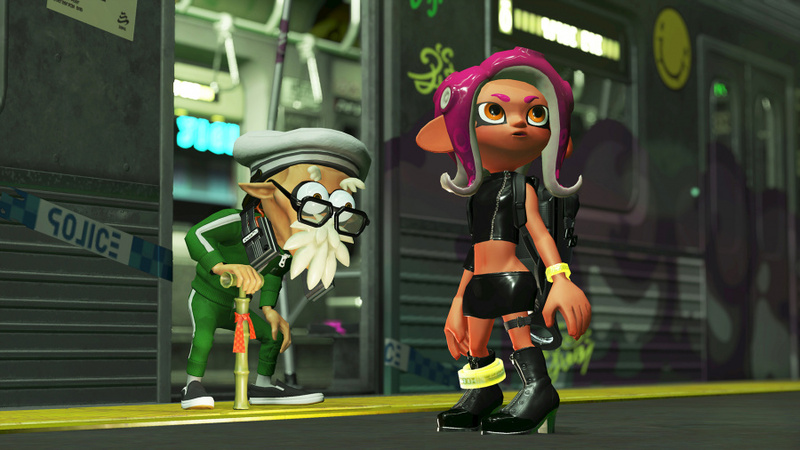 Do you find it interesting to see Splatoon cross over into the world of fashion, and how do you feel about the game's cultural impact? 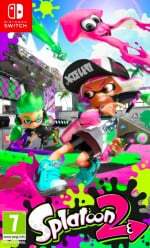 To start, Splatoon is a game we envisioned from the beginning as being a game people would play online, in a multiplayer setting. Mario, to take one example, is a game that puts you in the position of the hero: everything is about you. You're going to save the princess, and you're going to go defeat the bad guy. One thing that was born out of our desire to make this game have a multiplayer focus to an extent, was that you are one member of this society in this game. You're one character but there are many other people like you in this community, so you aren't necessarily the hero. And so, we thought the world we wanted to make was one where there would be times you became the hero in the single-player mode from Splatoon 2 or in the Octo Expansion, you take on the role of the hero, but fundamentally, you're one member of this Inkling society and you become kind of this Inkling teenager and see the world from the eyes of just a teenager who exists in the world of Splatoon. We wanted to create a culture in this world, as something that supported the idea that Turf War is the main sport in the world of Splatoon, and has kind of a real-world corollary in skateboarding if you could use that as an example. People who skate together might have different things that they wear and you might be like, "Oh, I have to wear something different than that guy in my skateboarding group!" In the same way, the Inklings participating in Turf War all want to have their own style, they want to stand out, and we wanted to make a world that allowed players to bring their expression to it. In the US, we like to call them squid kids. This is the first time we've ever heard them called teenagers. How old are you in Splatoon 2? On the development team, we've had discussions that they're right about the peak of when you have that teen spirit, which is right about fourteen to sixteen years old. So, like a teenager at the height of their teenage years, their interests are kind of all over the place. They want to become really good at sports, and they want to look really cool. They want to do a variety of activities. Regardless of what your actual age may be, we want people to be able to enter this world and kind of inhabit that spirit of that teenager I mentioned earlier. In the Octo Expansion, Octolings and Inklings live together in Inkopolis. Were they enemies previously? Up until this point, we've filled out the world of Splatoon from the Inkling perspective and players have seen primarily that. That's not to say Inklings are the good guys and all Octolings are the bad guys. Inklings have their own society, and Octolings have their own society, and now we're going to learn more about it. 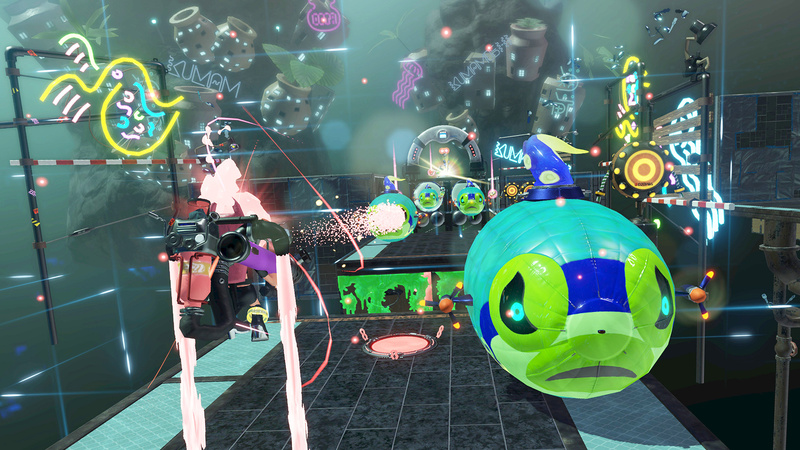 In Hero mode, you were having to go after these Octarians who were behaving badly. They were kind of the bad guys among the Octoling clan. But in the Octo Expansion, you have an Octoling character who is combining forces with Captain Cuttlefish, who is an Inkling. They combine forces because of their shared goal to reach the surface together, and when they reach the surface, they find that society has progressed and now Octolings and Inklings live together. Do you think there will be any opinion among fans that they've been playing as the bad guys all along? What I hope people realise is that not any one type of character in the world of Splatoon is completely good or bad. 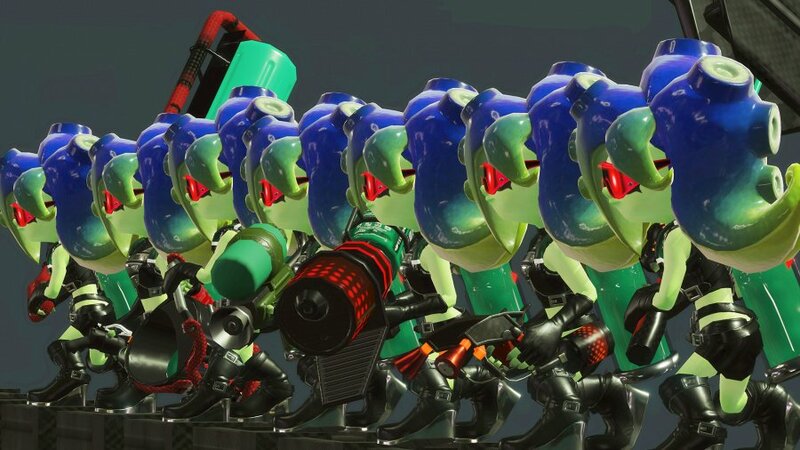 You know, the Inklings have their society, the Octolings have their society and the Salmonids from Salmon Run have their own thing going on. And, what I'm hoping is that people realise that they each have their own characteristics, but sometimes those societies intermingle and come crashing together and this is one of the examples of what happens when that occurs. The Octo Expansion is a story from the Octoling perspective which also shows how Octolings and Inklings can get along and it sends you into a situation where that's occurring when you get to the Plaza in multiplayer. So I'm hoping that will actually increase people's affection not only for the Octolings, but conversely for people to show even more affection for Inklings too. Can you tell us what the new amiibos do? We're not talking specifically about what they'll do, but I think it's safe to say they'll do something similar to the Splatoon amiibos that have come before. We haven't decided quite yet exactly what you'll get from the amiibos, but once we have decided we'll make sure to let everyone know. Now that we have two factions of sorts - Octolings and Inklings - in Splatoon, is it possible we might see an Octoling vs Inkling Splatfest? That might be a good idea! Do you find Splatoon's success surprising, considering its relative newness as a franchise and the console on which it originally launched? If you had asked me prior to the release of the original Splatoon, if this many people would be playing and would have stuck with us for this long and would have continued their interest in Splatoon, I would have been surprised! Speaking of Splatoon's popularity, what was it like for you to see some of the in-game clothes being reproduced in the real world such as those made by Uniqlo? Part of my way of thinking about the game and its content, and it's something I mentioned earlier this year at GDC, is that I don't see a distinction between the content in the game and the content that exists in the real world outside the game. It's an extension of the game itself. So, if I see someone wearing a Splatoon shirt that features a brand from the game, I'm thankful, because I can tell right away that this is someone who enjoys the game; it just fills me with a feeling of gratitude. At GDC, you mentioned the concept of Splatoon evolved during development from tofu to rabbits and then eventually to the Inklings we all know and love. Would the series have been as successful as it is now if you had decided on one of those other concepts? I think Splatoon's success has a lot to do with the fact that we went with squids and Inklings as our characters that people love them as much as they do. I think it's not just because squids are particularly cute, but the character fits the world of Splatoon really well. I think that affection people have for the Inkling characters comes from just how perfectly they fit in this world we built for them, and that might not be true if they were a block of tofu or a rabbit. 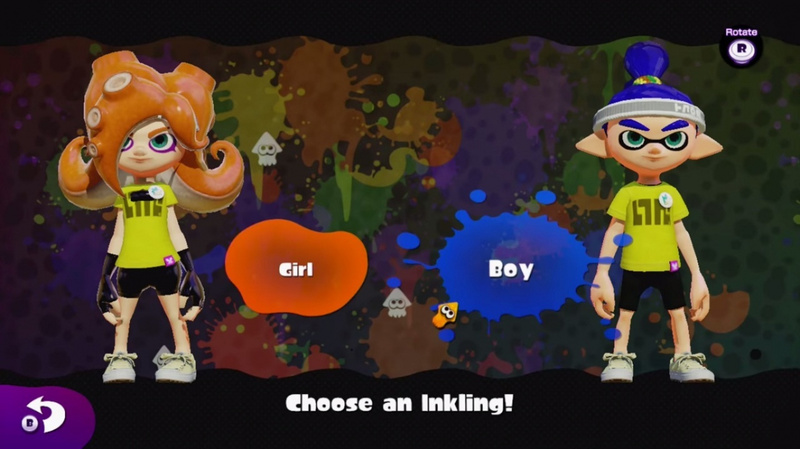 What was it like for you and the team to see the Inklings - the youngest characters in Nintendo's history - to be added to Smash Bros Ultimate? It's truly an honor for us. This is a series that we've only been working on for the last three years and for a character like that, that we've really raised along with the community and the fans, to appear in Smash Bros. is something we're truly honored to see. This is something I hope we find a way to celebrate with the fans or at least that they're aware of. While it's an honor for us to have our character in Smash Bros. this is something the fans brought about, I think by clamoring for it and showing their affection for the Inkling character. This is great. I really love what they've done with splatoon 2 and I hope to see a splatoon 3 that continues down this path of a creative culture of cephalopods. Octo Expansion is some of the best single player content I've ever played, with a good mix of challenge and satisfaction. I'm honestly in love with this series, and Nogami and his team deserve so much credit for what they've done. Wouldn't young link be the youngest character, or am I interpreting that wrong? Splatoon 3 please. 2019. Really I just want more single player. Somehow I found solo splatoon more fun than mario odyssey. @Optimusultimus Youngest regarding the date they first existed in games. Young Link first appeared on Ocarina of Time on N64, but Inklings debuted just 3 years ago on the Wii U. Thank you for making this game. It is a true honor to play. I really wish there was a market, created by Nintendo, to deliver Splatoon clothing. I would love a colorful Splatoon tie, tie tack, dress shirt, etc. Redbubble is ok, but I would like better quality and selection. Thank you Nintendo! Utterly engrossing read. Go go Nogami! I hope that this franchise continues to grow and expand into something truly brilliant! Well, more brilliant than it already is. @Grafeaux beat me to the punch, but I’ll say it too: I would love Splatoon clothes in real life somehow! 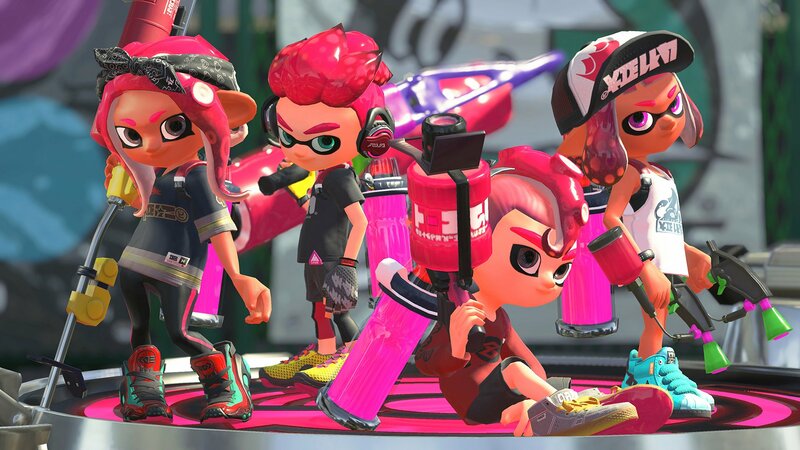 I already have ThinkGeek’s now unavailable King Flip Mesh, as well as a Takaroka-themed hoodie from Nintendo NY, but the ability to actually have my real-life outfit replicate my Inkling’s/Octoling’s would be fantastic. It's pretty crazy to see how big Splatoon has become in the span of only 2 games with the first one being released only 3 years ago. 3 years!! Geez, it's such a staple in Nintendo's stall of IP's now, it really feels like it's been longer than 3 years. It's been an amazing 3 years filled with Splatoon though. I'd never thought I'd get this engaged into a shooting game of all things but leave it to this development team to prove me wrong. It's also really nice to see how much they appreciate the fanbase as well. I do hope they keep this franchise alive for years to come. They've built an incredible world here and I want to see it all expand more as time goes on. The youngest characters in Nintendo history? Arms says hello. How about 16 player free for all? There's got to be 16 colours available. @Optimusultimus Sorry if it was a bit unclear, I meant young as in franchise age. @Tulio517 Sorry, I meant youngest characters in Nintendo history to be included in Smash. The Octo Expansion is frustrating and difficult for my sorry skills, but I yell and scream in anger as I fail over and over, only to finally figure it out and laugh in satisfaction as I finally overcome that level. I might be going slowly but I haven't caved and skipped a level yet. I do love the Splatoon games and universe. I hope the series evolves and thrives long into the future. I'd love to see a Splatoon side-scroller platformer someday as a possible spinoff! Splatoon is one of my favorite Nintendo franchises; thank you Nogami-san and the dev team for providing us with such great games! @Tulio517 If Springtron is in Smash somehow, he'd be the youngest in both senses, as ARMS is just over a year old and his age in-game is literally 0 years old. @MH4 Springtron could totally be an echo of Spring Man! @Tulio517 Before ARMS released I jokingly called it “Overwatch Boxing” because of the characters alone. 😂 ARMS is my favorite game on the Switch, and having at least one representative in the game was and still is my hope for Smash Bros. My favorite/main is Lola Pop, but Spring Man is definitely the most likely choice. Thanks for the interview. I will wear my Firefin shirt with pride as it honors Nogami. Gotta get that expansion to support them! Fantastic interview with Nogami....he comes across a lot more understanding of the environment than I'd previously expected him to be, which is nice. Octoling expansion is BRUTAL in difficulty, but very very well made. i loved this so much and all, but when are the going to mention about how after the 3.0.0 updates the graphics got worse. somehow they just have gotten so worse. i would like to know how, why, etc. they made the graphics worse. it bothers me so much and i would love to hear about it and get the word out.